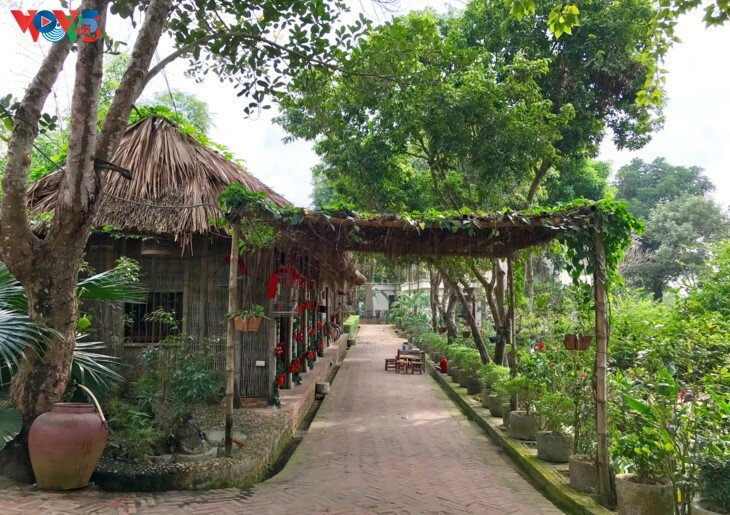 (VOVWORLD) - Located in Ky Son village, Son Tay district, the Moon Garden Homestay is a perfect hideout for those who want to escape from the hustle and bustle of city life in Hanoi. The homestay provides two-day-one-night tours for tourists to experience life in the countryside. The Moon Garden Homestay is located about 60 kilometers west of downtown Hanoi, which is about an hour and a half by car or motorcycle. 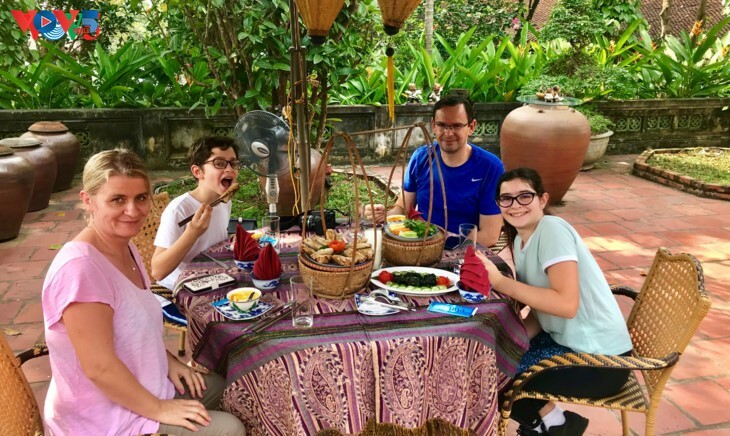 Built in the heart of vast green spaces including rice fields and a large garden of fruit and flowers, the cottage delights tourists with its charm as soon as they arrive, as it did for the family of Olivier Le Doussal, who are on the two-day-one-night tour. There are four main houses, which are named after trees that are planted around the homestay, such as mango trees, grapefruit trees, frangipane trees, and guava trees. All the houses have the typical architecture of the Red River Delta countryside of yesteryear with the roof covered with Yin-Yang tiles, and the walls, doors, and columns made of wood. 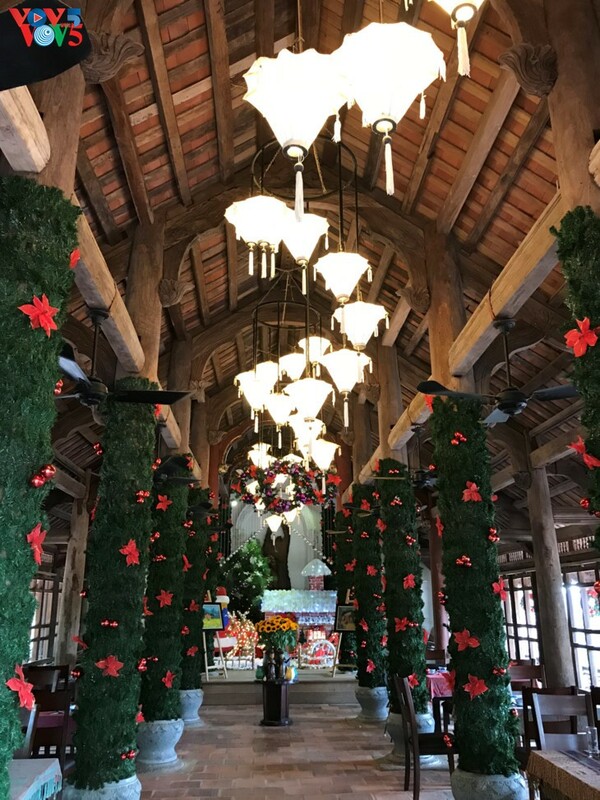 They are decorated with antique furniture that features traditional sculptures, such as lotuses, peach blossoms, phoenixes, and dragons. Oliver’s children, Noemi and Gabriel, seem to be obsessed with the antique objects at the homestay. “There is a very old phone that has two parts, one where we can listen to people speak, and another where we talk. I've never seen a phone like this before", said Noemi. “There is a wardrobe with many different kinds of Vietnamese traditional clothes. So all of us put them on and took pictures”, said Gabriel. Visitors can not only dine in the restaurant but also attend a cooking class there. They are taught how to decorate plates with fruits and vegetables and make traditional Vietnamese spring rolls by the locals. A certificate of apprenticeship will be given to them at the end of the course. Oliver’s wife, Celine, has learned the technique of making a perfect spring roll. “It’s important not to put too many ingredients into the rice paper. A modest quantity will help you roll well. We must squeeze and fold the paper carefully so that the roll looks good,” she said. Apart from the cooking class, Moon Garden’s two-day-one-night tours also offer customers cycling trips to tourist attractions and some farm activities. Khanh Tung has a lot of suggestions for his visitors. "All activities are linked with the rice fields and country life. For a two-day and one-night tour, after the cooking class and lunch, tourists get to rest with a hand and arm massage using medicinal leaves for 15-20 minutes. 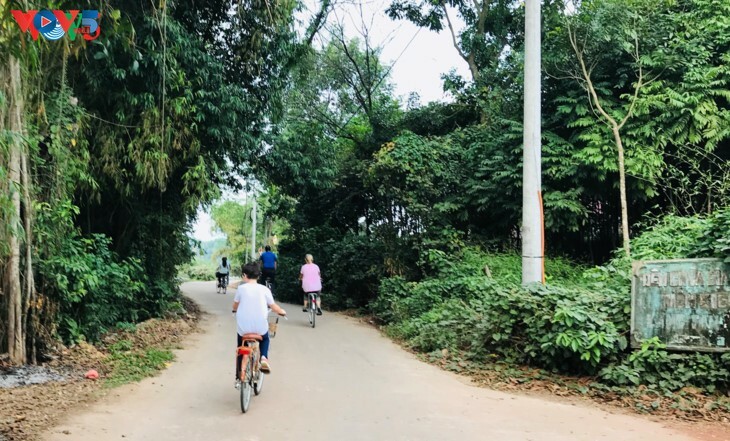 After that, they can join a cycling trip to old villages including Duong Lam, Tam Son, and Van Minh, then stop at some beautiful sites like pagodas, temples and some old wood houses to take a cup of tea and chat with locals about their daily life and farm work," Tung said. "They can also walk the rice fields and participate in the farmers’ work. If they want to experience the life of a farmer, the next morning, after a 15-minute gym class and a cup of green tea with honey and ginger, they can take a stroll around Ky Son village." After a 12-kilometer ride, the De Doussal family are excited about what they have seen on the trip. 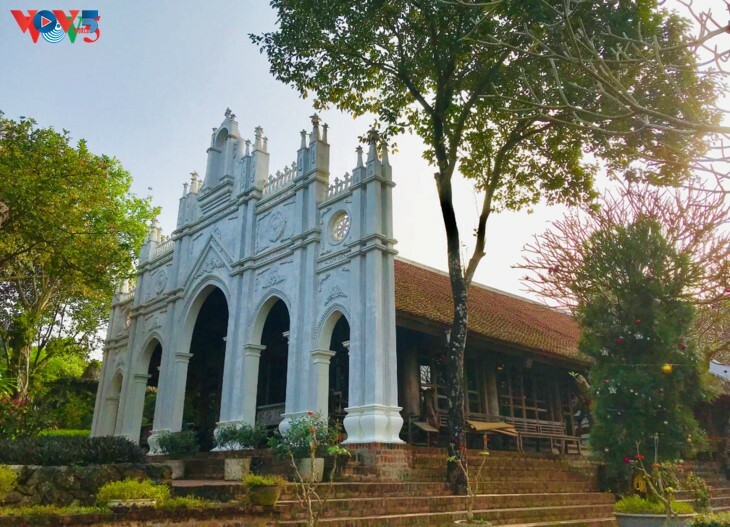 "We visited Mia Pagoda, which was beautiful," said Celine, "We went for a walk in the village and saw rice paddies, chickens, cows, dogs, and buffaloes." Gabriel continued: "Yes yes, there are a lot of animals. The people are very nice. There are much fewer scooters and cars here than in downtown Hanoi." If tourists stay longer, they can make their way to Thuy An village, which houses a center for disabled children, and Ba Vi National Park, home to various tropical and subtropical species, which are must-see destinations.